Based out of Anthem, AZ and serving our neighbors of the North Phoenix Valley. We are a state-licensed, bonded and insured plumbing service company. We can proudly state that with our company, you will receive a licensed plumber with over 15 years of experience coming to perform the plumbing work. At Majesty Plumbing Llc, our job is to provide the highest level plumbing and sewage services for both home and business clients. With a unique combination of skill and customer service, we are able to adapt to any job and have quickly become Queen Creek's go-to option for fast, reliable repairs and installations. From fixing leaky faucets in residential homes to planning and implementation of complex plumbing solutions for multilevel commercial clients, we cater to the needs of a wide diversity in the Queen Creek area. As a full plumbing provider, we offer the following as well as many other services: Fixing clogged drains Water heater repair and replacement Sewage-related services General plumbing tasks (leaks, fixture installation, maintenance) While much of our work is done for homeowners, we also understand the needs of commercial and corporate customers very well, from dealing with difficult deadlines to solving complex plumbing problems. Regardless of the scale, we have both the manpower and the experience to make sure the project is executed perfectly to the highest satisfaction of our clients. Superstition Plumbing is a family owned and operated full-service plumbing contractor with the ability to service and install complete plumbing systems. We are native Arizonans that have been serving the Phoenix Valley for over 28 years. We pride ourselves in our professional expertise, attention to detail, catering to our clients, and providing the very best in all our products, warranties and service. Our motto is, ‘Considerate People, Considerate Service, Consider It Done! Our customers are our number one priority and we treat each job with the individual attention you deserve. Our certified technicians use state-of-the-art technology to diagnose and repair existing problems and always use the finest new equipment for installations in the industry. We know you can go anywhere and choose any other plumber, so it is our goal to make sure you have a superior experience with Superstition Plumbing. One that will keep you coming back and referring. We take pride that the majority of our business comes from referrals. We think you will be happy with your experience. Give us a call today! 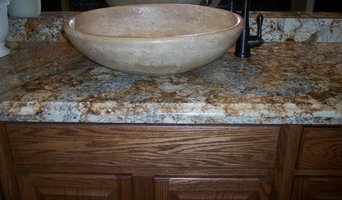 We provide quality plumbing and handy work services out of Gilbert, AZ.